The Robert D. Farber University Archives & Special Collections Department holds an extensive collection of seventeenth- and eighteenth-century works of religion, history, and law as part of the personal library of the late Harvard University Professor Perry Miller, who died December 9, 1963. Brandeis University acquired the collection in the fall of 1964 from Miller’s widow, Elizabeth Miller. While most of Perry Miller’s nearly 2,500-item collection resides in the Bertha and Jacob Goldfarb University Library, Archives & Special Collections houses a small portion of about 200 rare and first-edition books that have significant historic and literary value. Miller challenged the dominant view of Puritans as repressive and reactionary, portraying New England’s founders as emotional individuals who struggled to balance the overwhelming experience of migration with absolute piety and the belief that the future of mankind depended on the success of their settlement. Thus, New England Puritans shared a profound sense of mission that informed the establishment and guided the development of Massachusetts Bay Colony. How Puritans grappled with, explained, and justified that mission—or, as the title of Miller’s 1956 book suggests, Errand into the Wilderness—in light of the extreme challenges and obstacles preventing its success provides the foundation for subsequent American intellectual life. 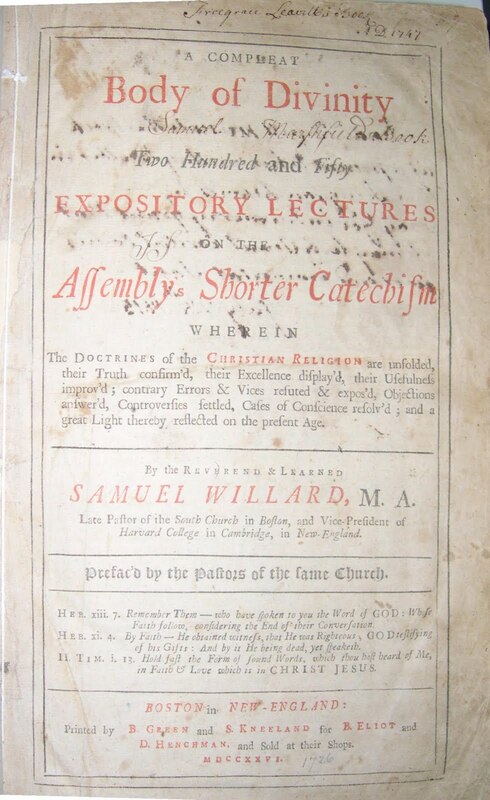 Miller’s library also sustains his strong belief that “the mind of man is the basic factor in human history.”11 From seventeenth-century Christian theology to nineteenth-century transcendental literature, Miller acquired works that impressed American intellectual development. Additionally, these important works of religion, history, law, science, and literature reveal Miller’s steadfast commitment to uncovering the motor of the American experience. See a catalog of the Perry Miller collection here. 1. Perry Miller. Errand Into the Wilderness. Cambridge, Mass. : President and Fellows of Harvard College, 1956, viii. 4. Preston, The New Covenant, quoted in Miller, Errand Into the Wilderness, 59. 5. Richard P. Gildrie, “Willard, Samuel.” American National Biography Online. http://www.anb.org/articles/01/01-00974.html. Accessed October 20, 2010. 6. 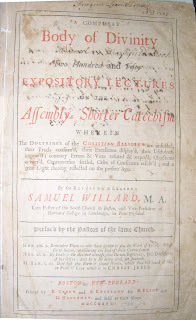 “Samuel Willard.” Dictionary of American Biography. New York: Charles Scribner’s Sons, 1936. Accessed online at Gale Biography in Context, October 20, 2010. 7. Miller, Nature’s Nation. Cambridge, Mass. : The Belknap Press of Harvard University Press, 1967, 121. 8. “Perry Miller.” The Harvard Crimson. December 10, 1963. http://www.thecrimson.harvard.edu/article/1963/12/10/perry-miller-pin-the-forest-when/. Accessed September 16, 2010. 9. Miller, Nature’s Nation, 10. 10. I. Bernard Cohen, “Pemberton’s Translation of Newton’s Principia, With Notes on Motte’s Translation.” ISIS 54: 177 (1963): 319. 11 Miller, Errand Into the Wilderness, ix.